The suicide bombing which killed 51 people at a Kurdish wedding party in Gaziantep, Turkey, was carried out by a 12 to 14-year-old, President Recep Tayyip Erdogan said. President Erdogan said ISIS was behind the attack. Gaziantep, near the Syrian border, is known to have several ISIS cells. 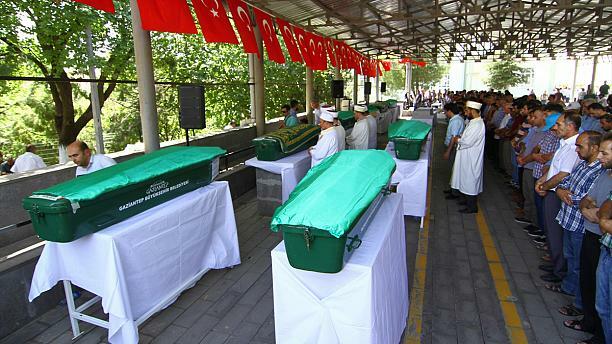 The bomb wounded 69 people, Recep Tayyip Erdogan added, 17 of them seriously. According to a report by Turkey’s Dogan news agency, the couple had moved to Gaziantep from the Kurdish town of Siirt further east to escape fighting between Kurdish rebels and security forces. The United States condemned the attack, calling it “barbaric act”.